If you are a follower of my blog then you know how much I LOVE the picture book dies. I like the size of the new large picture book dies and thought they would fit nicely on the front of a treat bag. I die-cut all of the critters from colored fun foam for a different texture. I die-cut all the bags from THIS die. 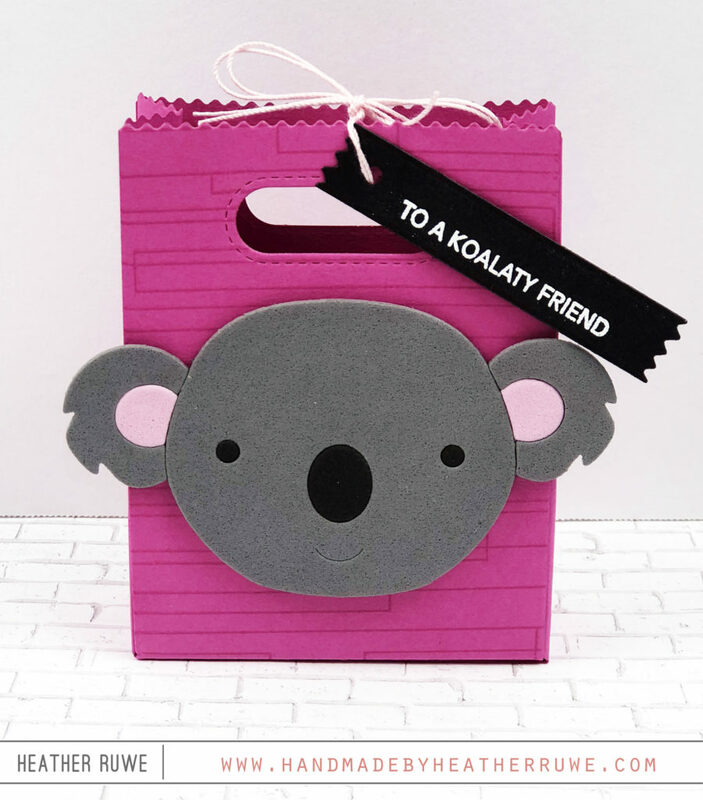 I added THIS koala and stamped the bag with THIS background stamp. 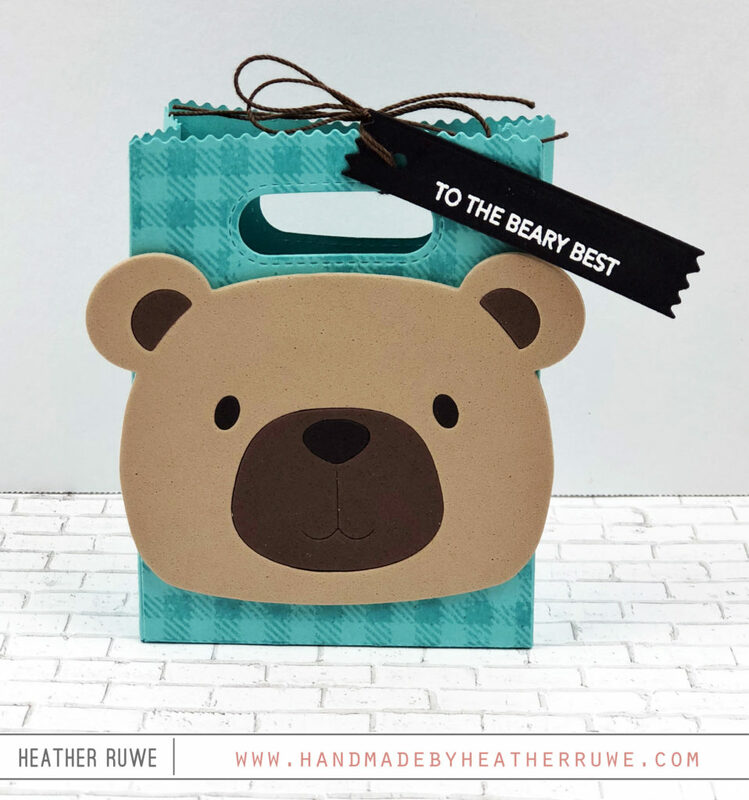 I added THIS bear and stamped the bag with THIS background stamp. 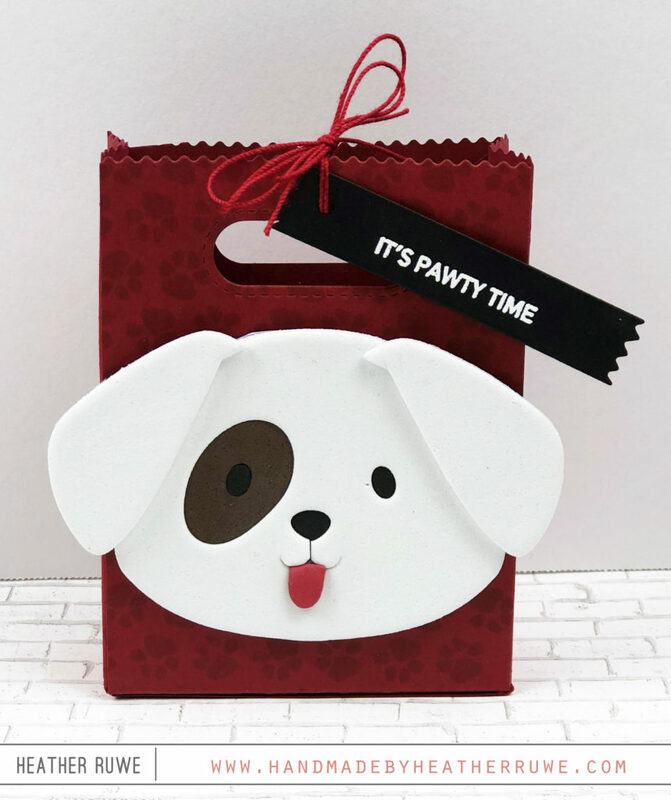 I added THIS puppy dog and stamped the bag with THIS background stamp. 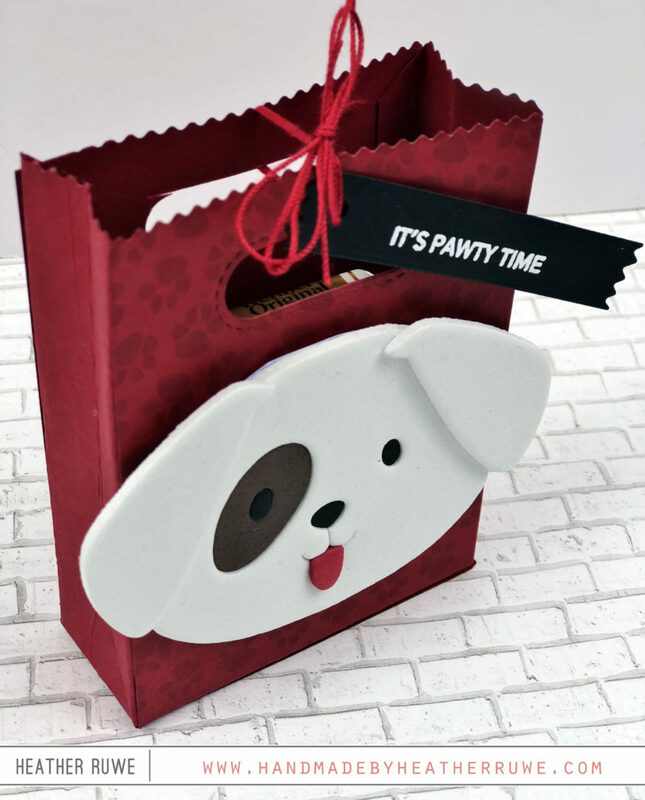 I filled each bag with treats and tied the bags closed with a tag created with THIS die. 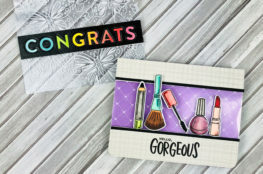 I white heat embossed a coordinating sentiment from THIS stamp set that was created to pair with the picture book dies. 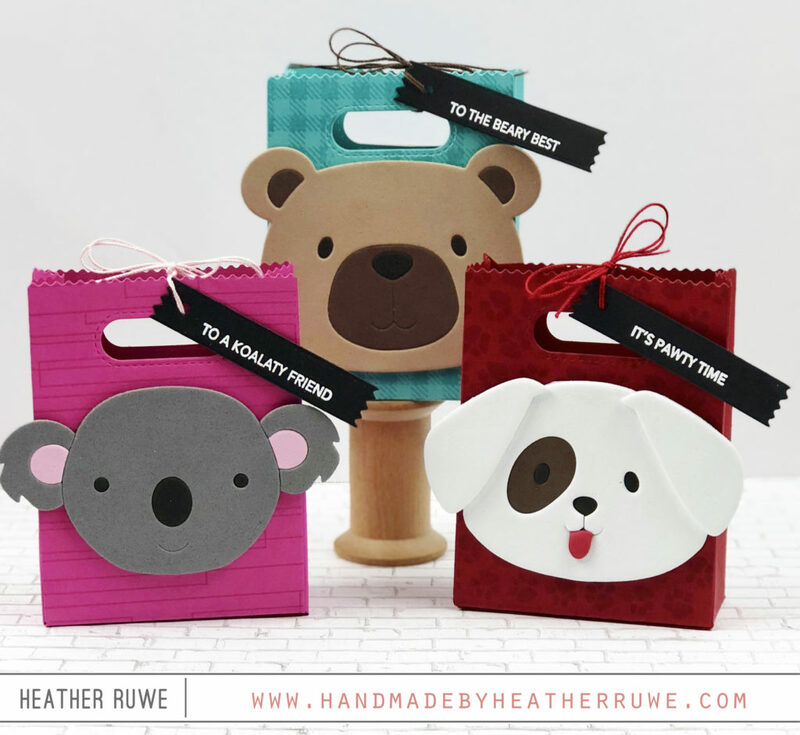 Like I mentioned this post is part of a blog hop. Click HERE for the next stop on the hop and visit, Lisa Addesa. Click HERE to start at the beginning of the hop. 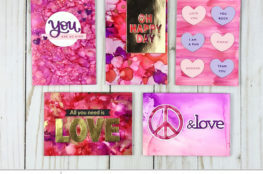 If you’re looking for even more inspiration, click HERE and HERE to see projects I’ve shared this week using the new release. 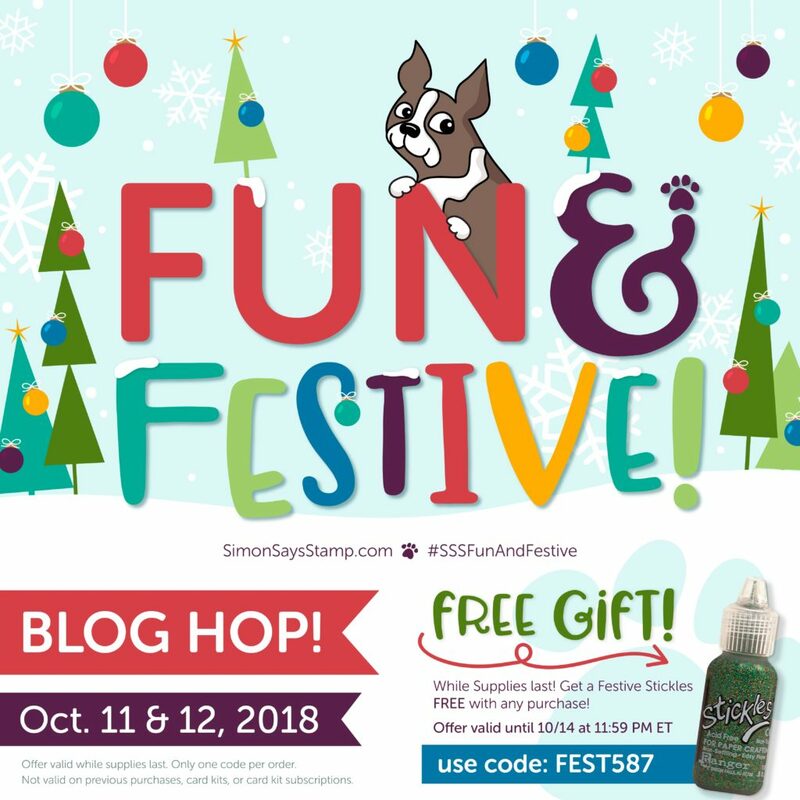 Also, don’t forget to use the code FEST587 to receive a free Festive Stickles with any purchase! Absolutely adorable. And great idea for using throughout the year.